Jordan Renie: My Birth Control Experience From Hell! My Birth Control Experience From Hell! I have been on Birth Control since I was in 8th grade. I was only 13 years old and I am now 22, that is 9 YEARS of being on/off all kinds of different methods! 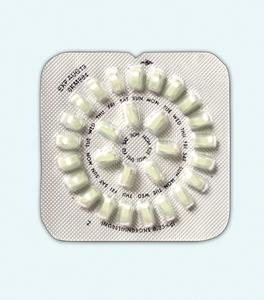 I was originally started on the Conventional Birth Control Pill. Through my teen years I bounced around a few different kinds of birth control options. I tried an Extended Cycle Birth Control Pill that allowed me to only get my period every 3 months and I also tried the Depo Provera Shot. My Senior Year and in College I tried NuvaRing, I also have used just Condoms and the Pull Out Method as well as the Skyla IUD and the Progesterone Only Pill Postpartum with Braxton. You could say that I have tried quite a few different Birth Control options, but sadly none of them have worked well for me. THE CONVENTIONAL PILL - When I first started the pill I was only 13 and started on the Conventional Pill for heavy/long and painful periods. This is the standard 28 day pill pack that is to be taken daily. Since I wasn't using the pill as a form of pregnancy prevention, I didn't have to worry as much about taking it every day at the same exact time. It helped to relieve the painful/irregular period symptoms, and as far as side effects go, I can't be certain one way or another. The mood swings could have been due to the typical "teenage attitude" and the insane headaches I used to have could have been genetic - my mom suffers from extreme headaches/migraines. This method was no longer a good option for me when I became sexually active. I was bad about remembering to take it everyday, let alone at the same time every day and that was when I decided to look into other options. 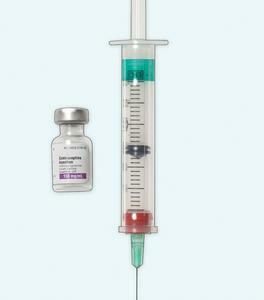 THE DEPO PROVERA SHOT - I decided to try out the Depo Shot after I became sexually active. I was terribly about remembering to take my pill and was interested in only having a period every 3 months. Unfortunately I experienced the exact opposite of what everyone raved of this birth control method. I had a wonderful experience at first, but ended up bleeding for an ENTIRE MONTH STRAIGHT! It was an absolute nightmare, I decided at this point, the Depo Shot was not a good option for me. THE EXTENDED CYCLE PILL - Although I was bad about remembering to take my pill, I talked over different options with my doctor and we decided to go back to the pill. At the time, Implanon (now Nexplanon) was still fairly new and IUDs weren't so highly recommended for women that hadn't had children yet. (Skyla - the smaller IUD wasn't around yet) Nuva Ring still seemed weird to me, so it was looking like the Pill was my only choice. I was excited about only having a period every 3 months, so we decided to try an Extended Cycle Pill. (Seasonique) I set reminders on my phone about when to take it and for the most part I did a lot better with it. I started getting busy and got really bad about taking the pill and decided I needed to explore other birth control options. NUVARING - My Senior Year of High School, I was living with my long term boyfriend and wanted to make sure that I was protected. I was only 17 and not anywhere near ready for a baby, I had plans ahead of me and wasn't ready to put that on hold. I looked into NuvaRing because it was one of the only alternatives to The Pill that would be best for me. I liked that you just put a new ring in every month and that was it! No pill to remember every day, just a reminder on my calendar to switch my ring once a month - I could even skip periods if I wanted! To date, this is my absolute favorite birth control that I have ever been on. 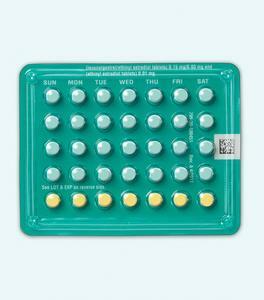 It was easy, I had absolutely no side effects (besides enlarged breasts, and who can complain about that) I remained on this birth control method until shortly after I started dating Josh, around my 19th birthday. (April 2013) I honestly just forgot to go pick up my next pack of NuvaRings. CONDOMS / PULL OUT METHOD - Ever since I first became sexually active, I ALWAYS had my partner wear a condom. Even though I was on Birth Control of some sort, I wanted to make sure there was the smallest margin for error as possible. 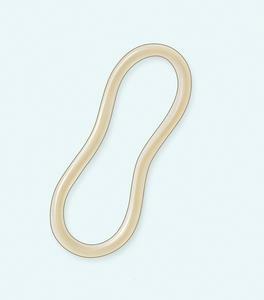 When I stopped using NuvaRing, this was my main form of Birth Control in addition to the Pull Out Method. This seemed to work great UNTIL October 2013 when I found out I WAS PREGNANT! I was surprised at the time, but looking back it was a no brainer. The Pull Out Method alone is unreliable and Condoms are only 82% Effective. After I had Kane Condoms / The Pull Out Method was again my Birth Control Method. I never picked up my Birth Control Pills because I knew I would just forget to take them, I wasn't a candidate for the Depo Provera Shot or Implanon/Nexplanon due to my previous experience with the shot, NuvaRing is a no go while breast feeding and I was deathly afraid of an IUD after hearing horror stories. SKYLA IUD - Despite being deathly afraid of IUDs, Josh and I decided that I needed to be on some form of Birth Control Postpartum with Braxton. Two under Two is crazy and we weren't ready for another. 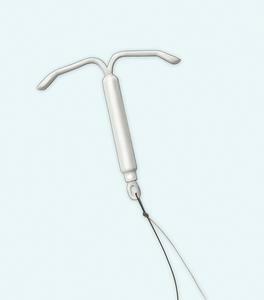 Given my history with The Pill, we decided that an IUD would be my best bet. I had my IUD placed at my 6 Week Checkup. (I found out later by my primary midwife that it would have been best to wait until my 8 week checkup but was not informed of this by the midwife I saw for my checkup) Everything seemed to be going fine. I didn't get a period (except for once over the summer) for the entire first 8 months. I did feel extremely emotional, cranky and borderline depressed but thought it could be due to lack of sleep and a new baby. I got a second period in mid September and then another in early October. I had this weird pulling type paid when I would remove my tampons but didn't think too much about it. I was performing regular sting checks like I was supposed to and everything seemed fine. I had the 2nd period mid September and it lasted a week long, I had about a week and a half of no period and then another early October - this time it was really heavy and really painful. I decided to schedule an appointment with my Midwife to have my IUD checked. She felt the strings and it seemed to still be in place. She sent me for bloodwork and an ultrasound to rule out an Ectopic Pregnancy and to double check the placement of the IUD. Thankfully I was not pregnant but the IUD was out of place and needed to be removed. She said it should be a quick and easy removal because it hadn't perforated. I went in to have it removed, only to find out during removal that it had been embedded! It literally had to be ripped out right then and there, and it was the most painful experience of my life. I've been through two labors, majority of the way without an epidural and I would rank the IUD removal as more painful than that. I was always so scared of getting an IUD and I wish I would have just listened to my gut feeling. After having it removed I could already feel myself becoming more patient, calm, and happy! 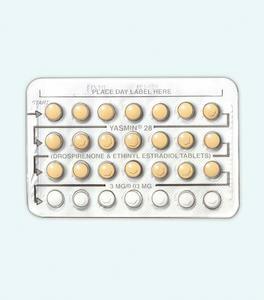 PROGESTERONE ONLY PILL - After my IUD was removed, I decided to go to the Progesterone Only Pill. This was one of my only options due to breastfeeding. I was on this pill for one month and became my worst nightmare. I went right back to being the same overly emotional and cranky person I was while on the IUD, but I also became full swing depressed and anxious. I was the worst version of myself. I used to have rather bad anxiety, stopped taking my anxiety medication when I got pregnant with Kane and just learned to deal with it. It didn't really affect me anymore until I started taking this pill. I decided to stop taking the pill with 2 days of my 28 day pack left. After these experiences, I don't ever want to take another birth control in my life. I have officially been off the Progesterone Only Pill for a week tomorrow, and I am slowly coming back to myself. I'm not feeling as depressed but my fuse is still rather short and my anxiety is still in full swing. I used to be able to keep it under control, but now it is getting to me pretty bad. I just want to feel like myself again. I want to feel as happy as I used to and I truly believe that Birth Control has played a pretty big part in making me feel the way I do. Some people won't agree and will probably call me a Conspiracy Theorist, but I guess only I know how I'm feeling and what I've experienced. If anyone has every "detoxed" from birth control, please share your story. I just want to get any trace of this crap out of my body & out of my system as fast as possible so I can get back to feeling like myself again. I'll be sure to update when I start to feel normal again, and what I did to get back to that point. What are you using now? I've been on most of these and actually got pregnant on two of them. Eeeek. Currently we are just using condoms and I am tracking my cycles!